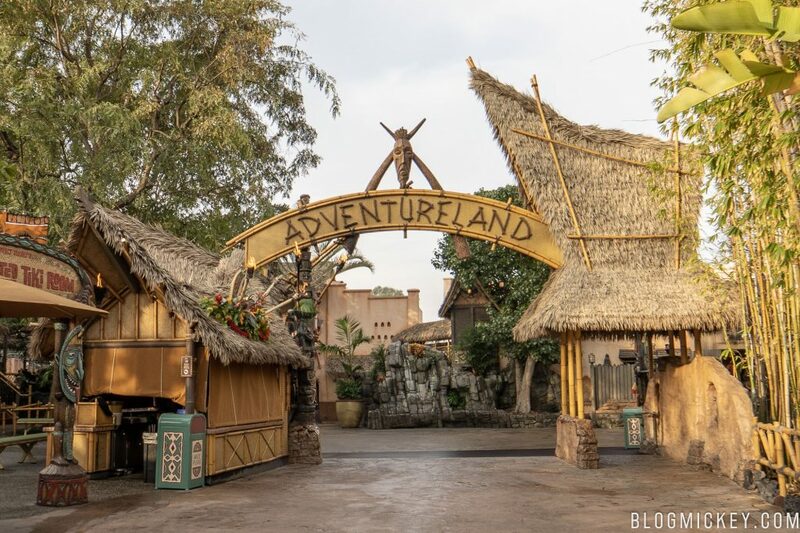 Disneyland has filed a permit to demolish the existing Adventureland sign and widen the pathway in preparation for Star Wars: Galaxy’s Edge crowds. According to the permit unearthed by @DLThings, Disney will replace the sign with a new one that doesn’t rely on footers in the walking space as seen below. The exact wording in the permit calls for a “demo [of] existing marquee and install new with footings and sign”. This is all part of a park-wide effort to widen pathways for the massive crowds expected when Star Wars: Galaxy’s Edge opens on May 31st. What is your verifiable source for this ‘information’? From what I’ve heard, from a former Imagineer and newspaper writer, is that they putting the signage back nearly exactly as is, and that what you’re relaying is not exactly correct. Please verify your information before spreading misinformation. Also, this is NOT the original sign from Walt Disney’s day. 3) I never claimed that this sign was from when Walt created the park. I’m not sure where you got that idea. I’d be happy to address any other concerns you have, but zero misinformation is contained in this post. Well, the headline for one is misleading. Disneyland isn’t ‘demolishing’ the sign/entrance specifically for SW:GE guests. This is something that has been planned and needed for years. And again, it’s so easy to sit there and claim this is from a permit filed. But, if you or your representatives have seen said permit, where is the proof? Your headline is pure click bait designed to get people riled up. Al, the headline isn’t misleading in the slightest or click bait. The permit says “demo”. That means demolition. This work is specifically for Project Stardust, which Disney themselves has said is a park improvement project for guest flow and other things for Star Wars: Galaxy’s Edge crowds. The proof for the permit is in the link to the @DLThings twitter account. You can view the permit with your own eyes should you be interested. This is really a travesty. Walt Disney did say that Disneyland will never be completed which implied that it was an organic idea that would be contiunually changing. Yet somehow there should be a way to preserve the heritage of the park even as it is adapted to suit new parkgoers.